New Writing North and the Julia Darling Trust are on the look-out for the next winner of the Julia Darling Travel Fellowship. Worth £2000, the fellowship will award one published writer from the North of England a period of travel for writing, research and inspiration. 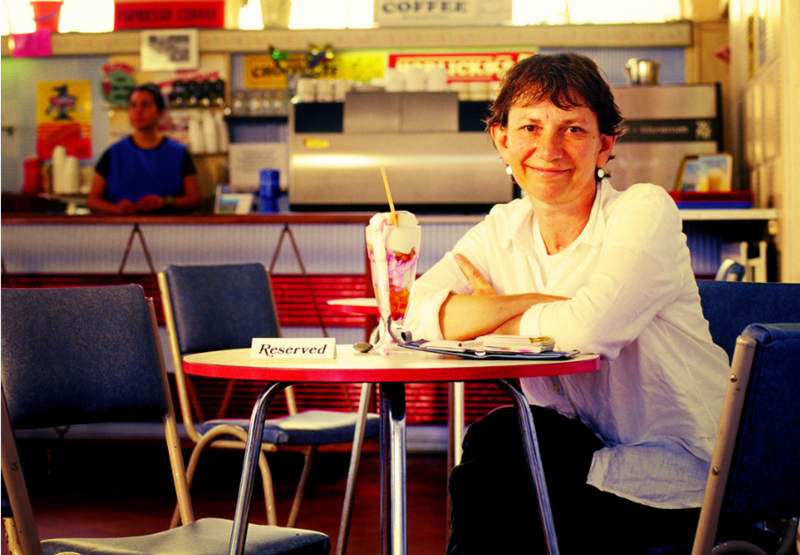 The prize celebrates the memory of writer Julia Darling, whose wide-ranging work included the novels Crocodile Soup (1998, 2015) and The Taxi Driver’s Daughter (2003); poetry collections Sudden Collapses in Public Places (2003) and Apology for Absence (2004); and plays for stage and radio, Eating the Elephant (1996), Personal Belongings (2002) and Appointments (2005). Founded by Julia’s friends and family in 2015, the fellowship is managed by New Writing North. It is inspired by Julia’s love of travel and by the appreciation that she had of writing away from home, while reflecting her passion for encouraging other writers. Each year, the fellowship is awarded by a panel made up of Julia Darling’s writer friends and family. This year’s judges are the poets Colette Bryce and Linda France along with Florrie Darling, Julia’s daughter, and Josie Darling, Julia’s sister. So far the award has supported four writers to undertake creative journeys to write and research new work. In 2015, Chloe Daykin travelled to Norway to research her latest children’s novel, The Boy Who Hit Play. In 2016, Michelle Green travelled to Hayling Island to work on a project, Hayling Island: Stories at Sea Level, which encompassed short stories, spoken word and digital mapping. In 2017, Emma McGordon won the fellowship to research queer culture in San Francisco. In 2018, Caroline Hawkridge returned to Zimbabwe for the first time since she emigrated in 1966, aged nine. The Julia Darling Travel Fellowship is open to novelists, poets and playwrights. Entrants must be over the age of 18, live and work in the North of England and have at least one professionally produced or published work to their name. The fellowship is for activity that takes place between July 2019 and June 2020. To apply writers must write a brief description (up to 500 words) of how they would like to use the resource to advance their creative work, a short biography (up to 300 words) and state why now would be a good time for them to receive support (up to 300 words). The Julia Darling Travel Fellowship is now open for entries until Wednesday 1 May. The Julia Darling Travel Fellowship is crowd-funded. If you would like to support the prize, please donate on Just Giving.